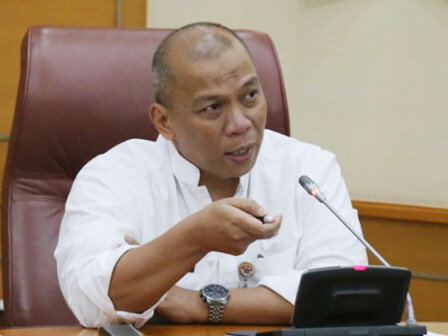 Jakarta Cooperatives, Small Micro and Medium Enterprises, and Trade (KUKMP) Department plans to include 121 coached merchants (UKM)s that have passed the test to participate in national and international exhibitions held in city and outside city.
" Those UKMs are engaged in fashion, culinary, and craft"
Jakarta KUKMP Department Head, Adi Ariantara conveyed, UKM that is allowed to participate in this exhibition should sell product that has Jakarta's characteristic, raise labor function, and has good quality product. "We want UKMs who haven't passed the test to be motivated and be more creative," he asserted, Friday (2/8). This year, Jakarta KUKMP Department plans to join 10 exhibitions in Jakarta and 7 exhibitions outside of Jakarta. It facilitates 100 UKMs to participate in exhibition held in Jakarta and 21 UKMs in exhibitions outside of Jakarta. "Those UKMs are engaged in fashion, culinary, and craft," he added. Total UKMs that participate in this year's exhibitions is higher than last year. "Last year, we only sent two coached UKMs to participate in one event in Jakarta and three UKMs in exhibitions outside of Jakarta," he informed. This year, Jakarta participates in Indonesia Fashion Week, Jiattec Jakarta Expo 2019, Inacraft, Lebaran Fair, Gebyar Industri Koperasi dan UKM, Indonesia Fashion and Craft, Gebyar Produk Khas Daerah, Relief Indonesia Festival, Jakarta Indag Expo 2019, and Indo Craft. Meanwhile, Jakarta also participate in exhibitions held outside of the City such as Bengkulu City Fair 2019, Balikpapan TTI Expo 2019, Batam Product Expo 2019, Belitung Expo, Medan Inovasi Smesco Expo 2019, Pudex Expo 2019, and the 6th South Sulawesi Fair.